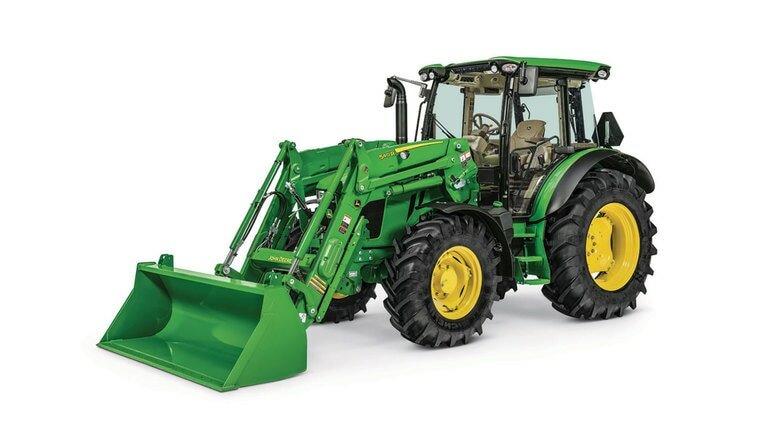 Make certain that the demands of your work will be met with the John Deere 5R Series. These utility tractors ensure ease-of-use with two electronic transmissions options for simple operation, a tighter turn radius for increased maneuverability, and integrated loader solutions. The 5R Series is built to be both functional and comfortable for those long hours of work. Advancements like the automatic mast latch and integrated joystick will simplify your operation and increase your productivity. The 5R Series is compatible with a wide variety of front and rear attachments, from post-hole diggers and rotary cutters to food plot seeders and land levelers.